When I visited Yangon the first time, I wasn’t impressed with the capital, but to be fair, I did no sight-seeing because I just went from meeting to site visit to meeting and spent a lot of time in taxis on Yangon’s gridlocked roads. 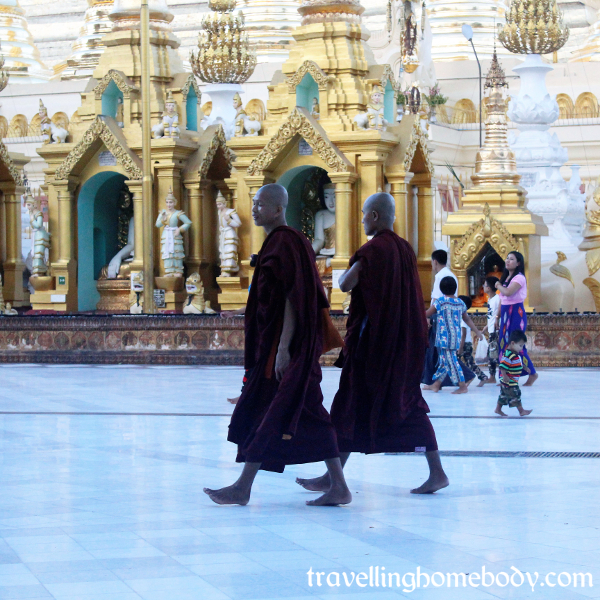 When a friend wanted to tick Myanmar off her travel bucket list and asked me to go, I thought: why not? 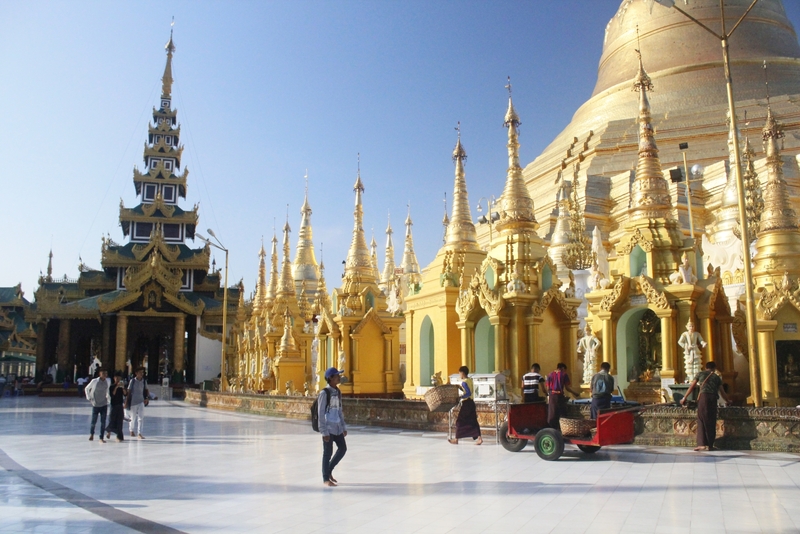 Everyone I know who has visited has raved about how lovely the people are, and how interesting it is to travel there, so I signed on for another eight days: Yangon, Mandalay, Bagan and Inle Lake. We visited in low season, when it’s very hot, and we only had one full day in each city, so we had to make the most of our time. We packed a lot in, and this is what I/we did in each city, but this is by no means definitive. 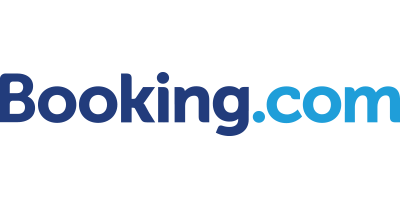 I recommend also searching GetYourGuide for ideas on what to do during your stay. 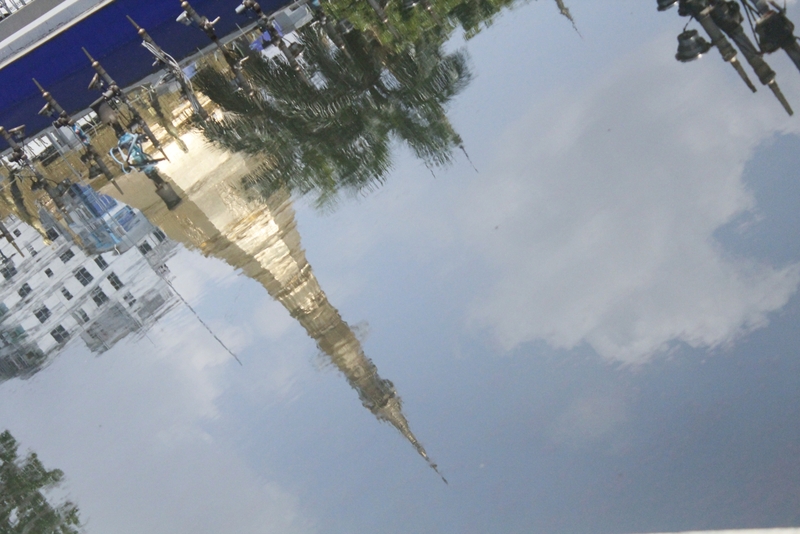 Incidentally, Yangon ended up being my second favourite place in Myanmar. Disclaimer: this post contains affiliate links. If you make a purchase (at no extra cost to you), I will earn a small commission. We flew direct to Yangon from Hanoi via Vietnam Airlines. The flight was only a couple of hours. We pre-arranged a transfer with our hotel (for USD$20), and the driver was there with my name on a sign. There a gazillion taxis after you exist the arrivals hall, so if you can arrange your own transport to your accommodation. It shouldn’t cost you any more then 7,000 kyat. We stayed at the Merchant Art Residence, which was centrally located close to a number of key tourist sites. This hotel has a rooftop bar with a stunning view of the Shwedagon Pagoda. The rooms are well-appointed and clean, with good air conditioning. If you want to save a few dollars, opt for a room without a window. The staff are friendly and helpful, with good English. They were happy to store our luggage free of charge when we got back to Yangon on our last day — we wanted to go back to Scott’s Market before we flew back to Hanoi. 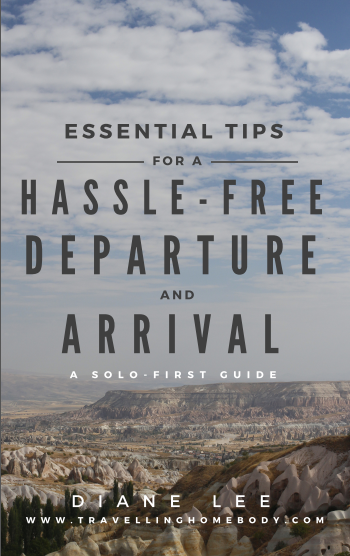 We organised an airport transfer for when we arrived (it cost USD$20), and that was a smooth process. 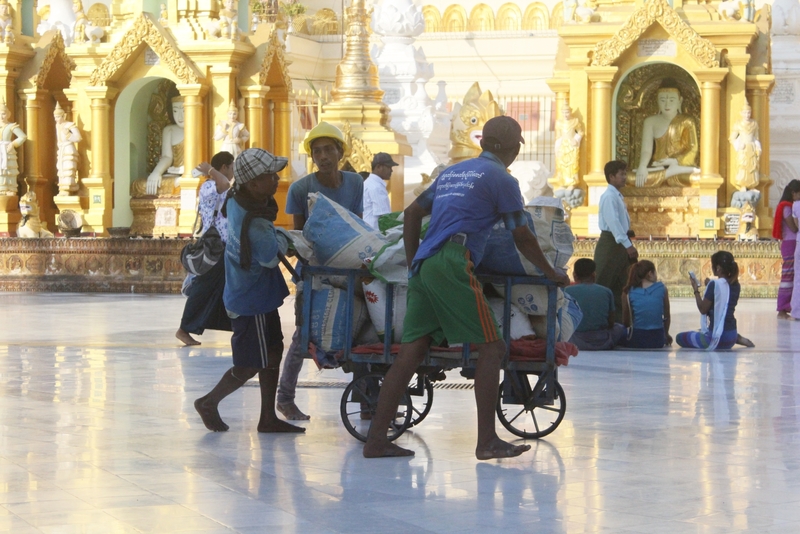 I hired the same driver for a morning tour of Yangon, and it was not expensive — USD$7.50 per hour. Our hotel — the Merchant Art Residence — had a rooftop bar that was the perfect spot to enjoy the night view of the majestic Shwedagon Pagoda. We found ourselves in the company of a well-travelled couple from New Zealand, who were happy to swap travel tales. I would hazard a guess that people who travel to Myanmar are seasoned travellers, and are looking for a bit of an adventure. This is true of most people we met as we travelled through Myanmar. The rooftop bar was chilled, and I ordered a salad that wasn’t too expensive — as well as a couple of G&Ts, which is the beverage of choice for the tropics! Alternative accommodation to the Merchant is Yama Hotel, which also has a rooftop bar, and is well situated close to main attractions. 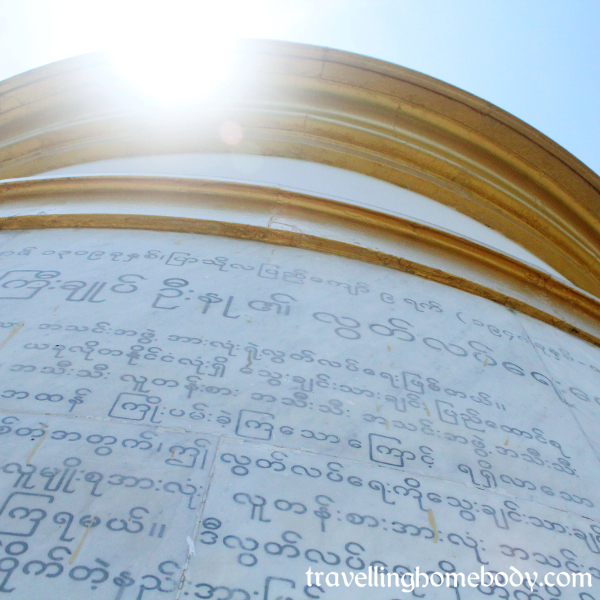 Chaukhtatgyi Buddha Temple houses the reclining Buddha, which has to be seen to be believed. 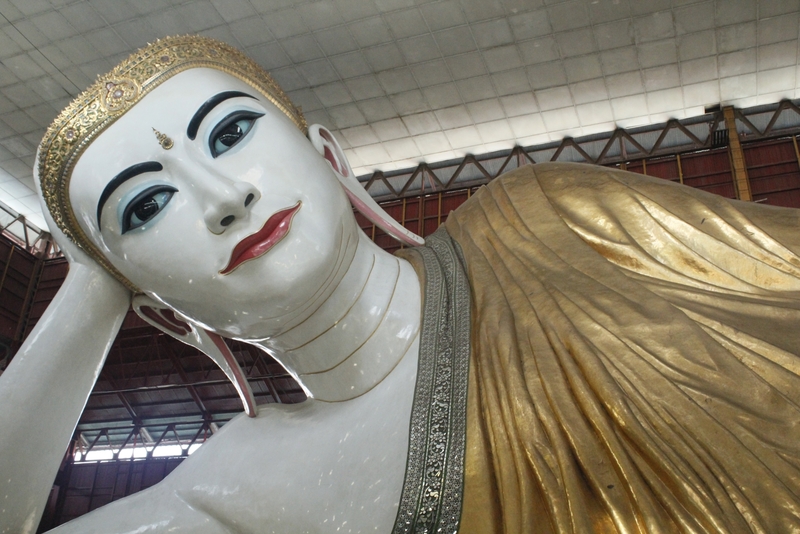 Measuring 66 metres (227 feet) in length, the Buddha is the second iteration, with the first being constructed in 1899 and the second in the 1950s. There is no charge for entering the temple, but it is expected that you leave a donation. Shoes should be taken off as you walk up the 100 metre walkway, then you can leave them with the “concierge” (for want of a better word) where they will be kept ready for you to pick up when you leave. 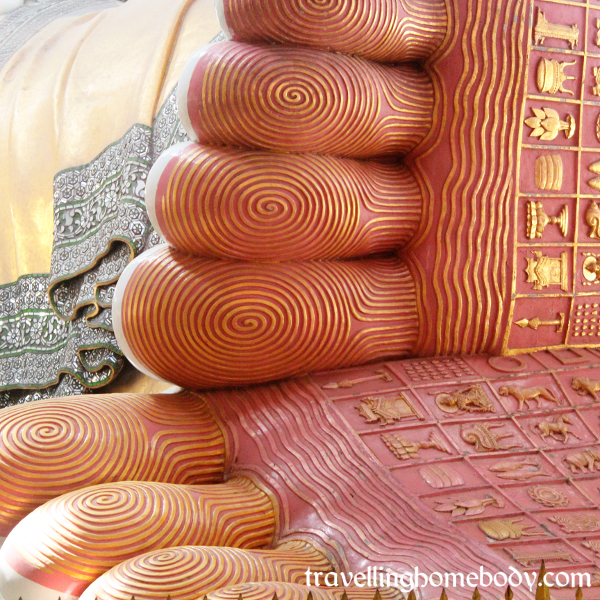 You can walk around the Buddha, and get a real feel for its immense proportions and the workmanship. 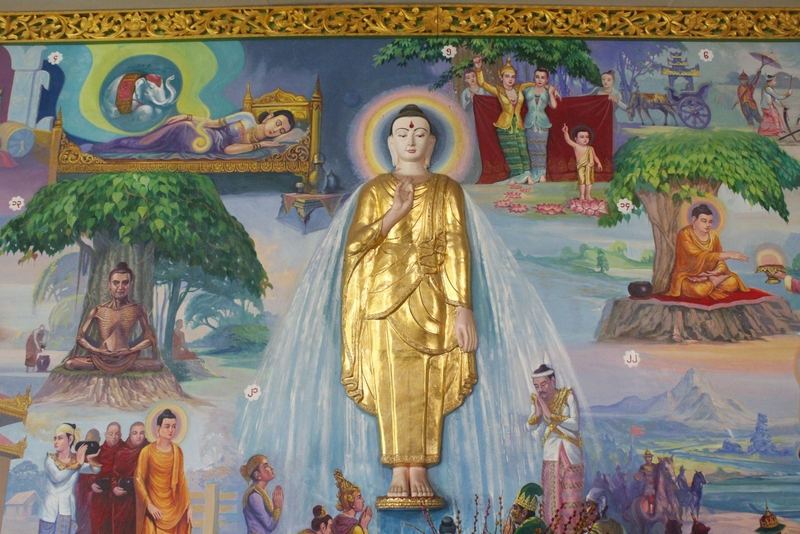 There are other “stations” where Buddhas are also displayed — watch out the LED flashing lights that add an element of… er… weirdness. You don’t need a guide to wander around, but you may meet monks who will tell you about the history and invite you to have lunch and a blessing — for a donation of course! The pagoda is open from 6:00AM to 8:00PM daily. You’ll need to leave your shoes (you can collect them after) at the entrance and ensure you are wearing respectful clothing. Entry is free, but take change for a donation. South of the Merchant — near the Pullman Hotel in downtown Yangon — is a delightful green space near the Sule Pagoda and surrounded by grand buildings reminiscent of the British colonial times. 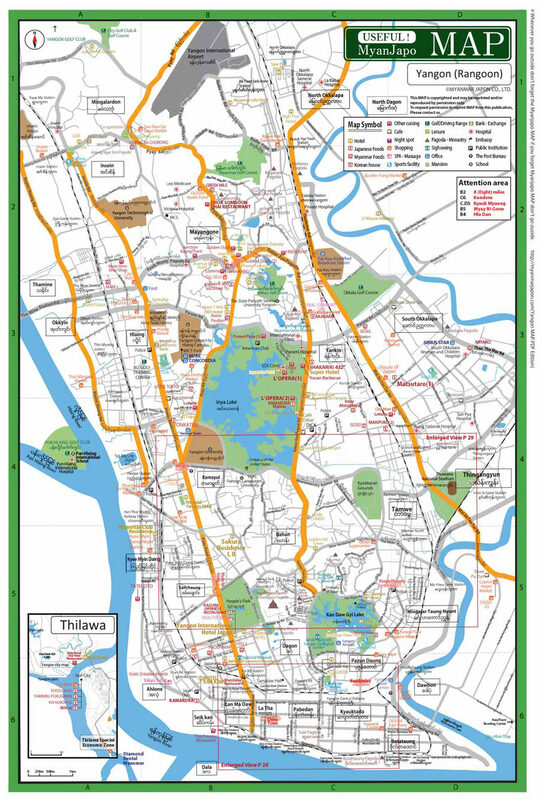 The Yangon City Development Committee is located there, as is the Immanuel Baptist and Presbyterian Churches. But the nicest thing about this area is the manicured, landscaped Maha Bandula Park, which dates back to 1867. 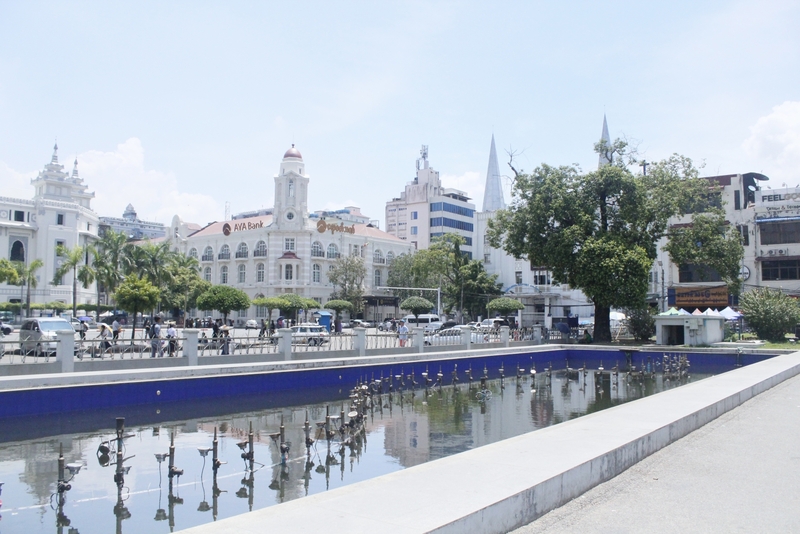 Originally called Fychte Square after the Chief Commissioner of British Burma, Albert Fychte, it was renamed Bandula Square in 1935. 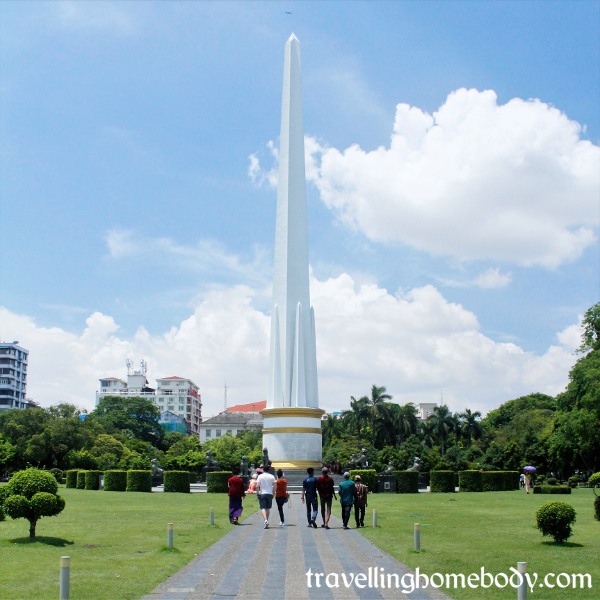 The stunning Independence Monument obelisk in the centre of the park commemorates Burmese independence from the British in 1948, replacing the statue of Queen Victoria. While you’re there, stroll around the street food stalls that line Maha Bandula Park (becomes the Sule Night market after hours). Enjoy a coffee in one of the local cafes and people watch — one of my favourite things to do when I travel. 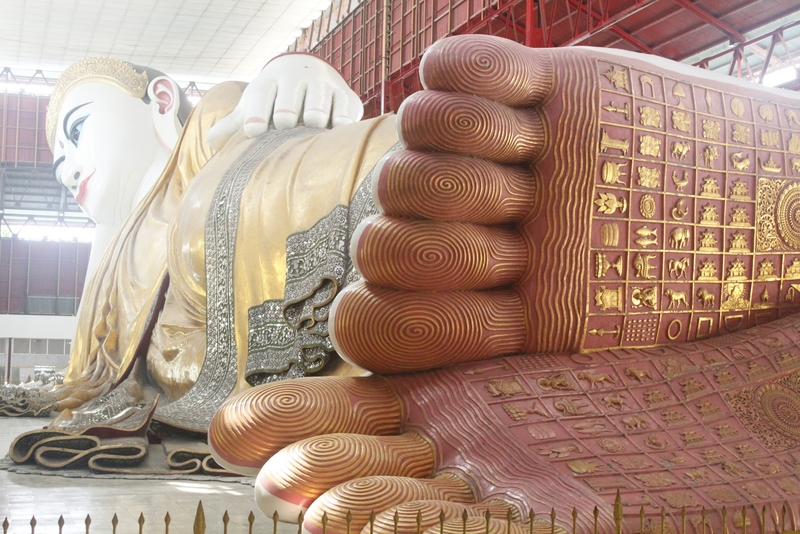 Our driver took us to Botahtaung Pagoda a kilometre or so southeast of Maha Bandula Park, but — to be honest — we couldn’t be bothered with the rigmarole of taking our shoes off. (These days, it has to be an awesome temple or pagoda for me to even consider it.) We walked right past the pagoda after we spotted the jetty, called —coincidentally — Botahtaung Jetty. 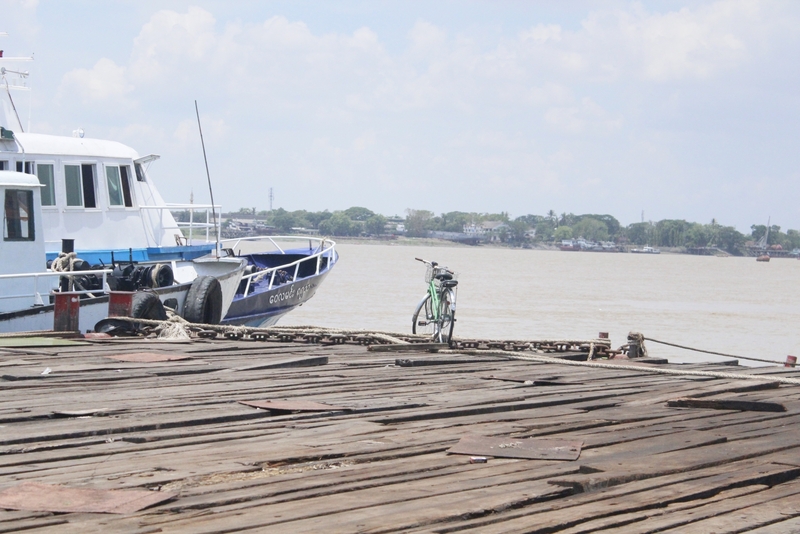 It’s not the size of the the Pansodan Ferry Terminal — a half a kilometre to the right — but it is still interesting, and you can get a feel for the importance of rivers to the Burmese in terms of transportation and commerce. The number of wooden bridges make for interesting photographs. It was hot, hot, hot the day we were there, so we didn’t stay long — we preferred the cool of our air-conditioned vehicle. Scott’s Market — also called Bogyoke Aung San Market — is a wonderful place to spend a couple of hours. Actually, you need longer, which is why we returned on the day we flew out of Yangon. We had time to kill, and wanted to go back to poke around a little more. The market sells wooden carvings, textiles, paintings, jade, gemstones, black market money changers, puppets, restaurant, shoes and clothing — among other things. It was opened in 1926, and has around 2,000 shops over two floors. Ask for the best price and be prepared to bargain for your purchases — and walk away if you aren’t happy with the price! As an aside, I was told I could buy sandalwood oil (one of my most favourite fragrances in the world), but I had no luck. I was sent in the direction of Little India — a few blocks up from the market — and was rewarded with sandalwood oil direct from Mysore, India. Back at the market, I bought an underpriced longyi (sarong skirt), and a (rather overpriced) wooden fan (which has since fallen apart). Be warned that you will be hassled to buy while you are there, mainly from people selling fans and postcards and gems, and also by monks wanting donations. My advice is don’t engage, just ignore them. The market is open from 9:00AM until 5:00PM daily. I live in Hanoi, Vietnam. I’ve been to many countries in Asia, including Japan, India, Bali and China. 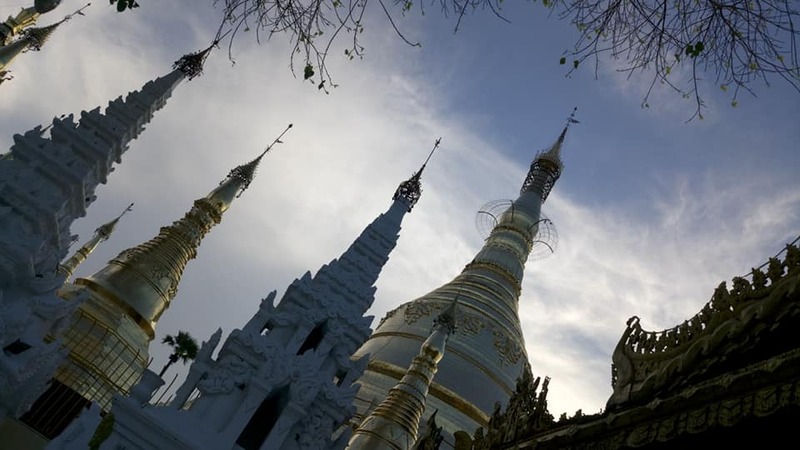 Trust me when I say this — it takes a pretty special pagoda to impress me these days. 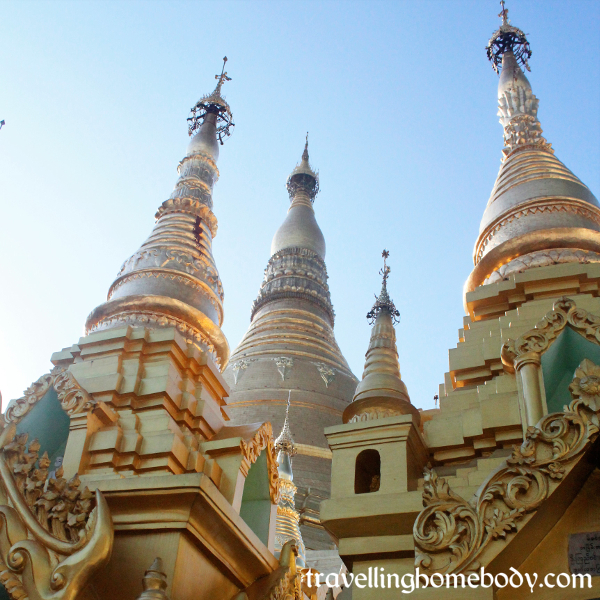 The Shwedagon Pagoda — built around 2,600 years ago — is one impressive stupa in terms of sheer size and beauty. We were dropped off at the Foreigner’s Entrance, and were given a refresher towel and a bottle of water before we went through the security screening. 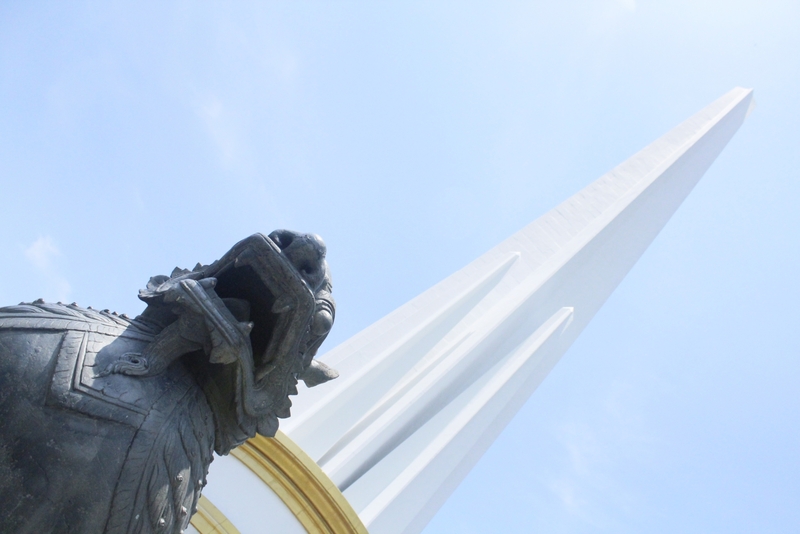 A lift took us straight up to the pagoda, and there was a short walk of around 50 metres that led to a massive marble “plaza” — and the pagoda, which is made up of the main pagoda and smaller pagodas and areas of worship. 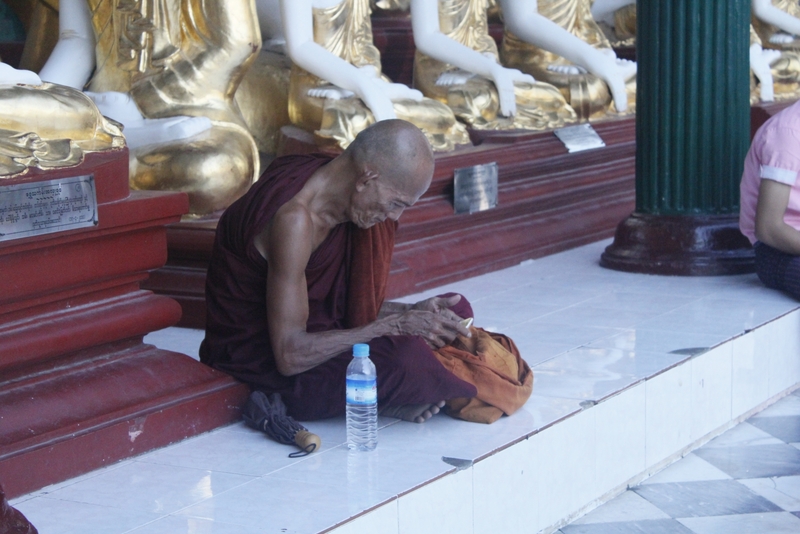 Even though there were hundreds of visitors, the area had a lovely, serene vibe — Burmese mixed with tourists and monks. The grand scale of the main pagoda, and the gold leaf with which it is decorated, makes it unlike any place of worship I have ever visited. 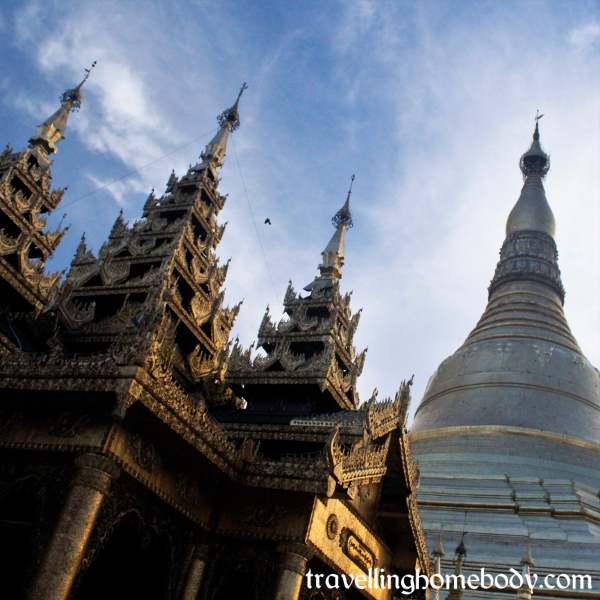 It is a definite “must see” if you visit Yangon. 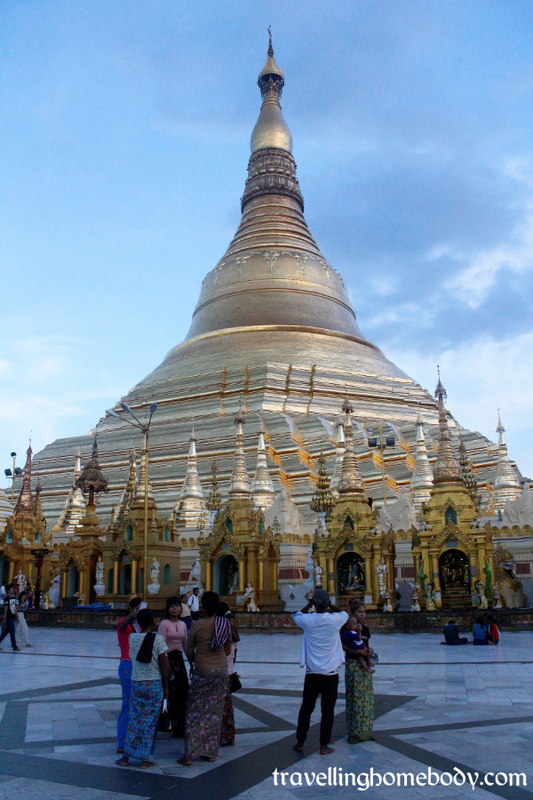 The Shwedagon Pagoda is open daily from 4:00AM until 9:00PM. The cost to enter is USD$8, and get your driver to drop you off at the Foreigner’s Entrance. 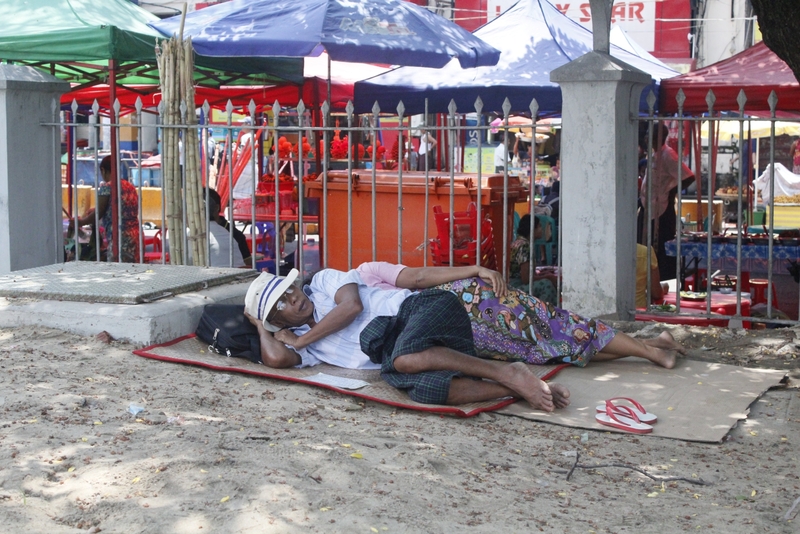 You’ll need to leave your shoes (you can collect them after) and make sure you are wearing appropriate clothing (you’ll be able to rent a sarong if you aren’t). I’d recommend going in the evening — around 4:30PM and spend a couple of hours there just wandering around and soaking up the atmosphere. The Strand — like The Metropole in Hanoi, and The Peninsular in Hong Kong — is one of those iconic hotels that is chock-full of history, and while a little expensive to stay in, is perfectly affordable for a beer or two — or even a cocktail. Built by the Sarkies brothers — who built Raffles in Singapore and the Eastern & Oriental Hotel in Penang — The Strand opened in 1901 and welcomed writers, celebrities, businessmen and politicians through its doors. The hotel was allowed to rundown after Burmese independence in 1948, and but was sold to a Burmese business many in the early nineties, and renovated and reopened in 1993. 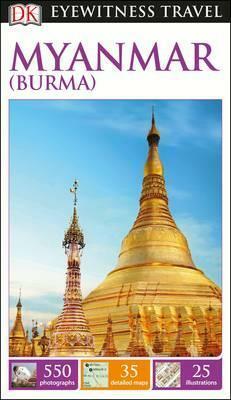 It’s now on the Yangon City Heritage List. Proud of its heritage, the menu tells the story of the hotel — as well as what drinks and food is on offer. It’s a special place, and you can just imagine what it was like in its hey-day. We were there on a Saturday night — and it was low season — so it was quiet. We were the only punters there. We were treated well by the waiters, even if we weren’t dressed for the occasion in our tourist gear! The decor is impressive: grand, opulent and lush… exactly what you would expect from a hotel of this calibre. There is a small food hall in Scott’s Market that sells both Burmese and Indian food — it’s cheap, clean and good. You can get juices, smoothies and drinks here too — and coffee in a western-style cafe. You are better off sticking to the local fare because the western-style cafe was very expensive. I did get a really good marsala chai at the Indian place, as well as a delicious papaya and mango juice — squeezed fresh. I found out that if items aren’t on the menu — for example, they’ve run out of pomelo juice (true story) — other items may be substituted, for example, orange juice. Your best bet is to ask what is available rather than be disappointed with what is served up to you. And don’t worry about not being able to read the menu — every dish has a picture (although it may not be a true representation of what you get, but that’s all part of the adventure!). After our drinks at The Strand, we decided to go to Rangoon Tea House for dinner — mainly because it was within walking distance, but also because I had heard good things about it from my previous trip in December, but didn’t make it there to eat. We didn’t make a booking, but that was not an issue, even though it was busy. We were quickly ushered to a table and promptly given the menu. I ordered a large bottle of Myanmar beer (I love drinking local beer) and a fish curry, which was served quickly and was delicious. The Rangoon Tea Room has a great vibe: full of expats and Burmese and the food is not at expensive. My companions were impressed with the food, the service and the atmosphere. I can highly recommend having a meal there. Scott’s Market — so interesting, and many bargains to be had! The kind Burmese man in the airport who spoke perfect English and tried to help me get my Visa card back from the ATM — unfortunately, it was not to be. The language barrier — English is still not widely spoken, which makes communicating difficult. 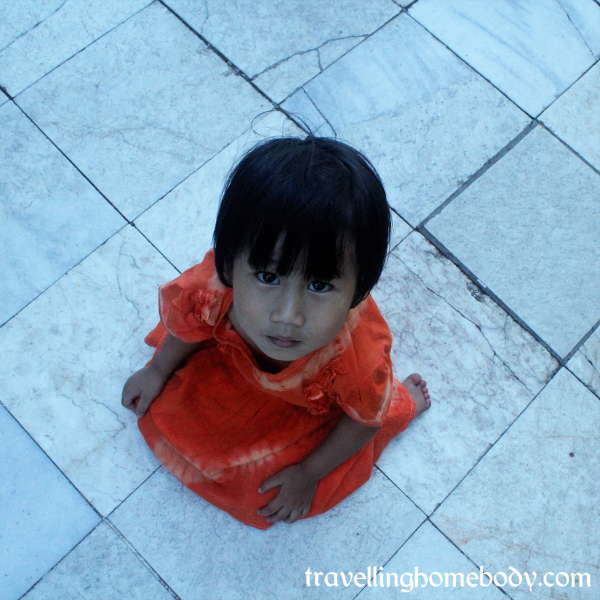 Photos taken by me while I was in Yangon. My camera was a Canon 600D with the kit lens. And these are straight-out-of-camera because I’ve been super lazy and have done no post-processing! 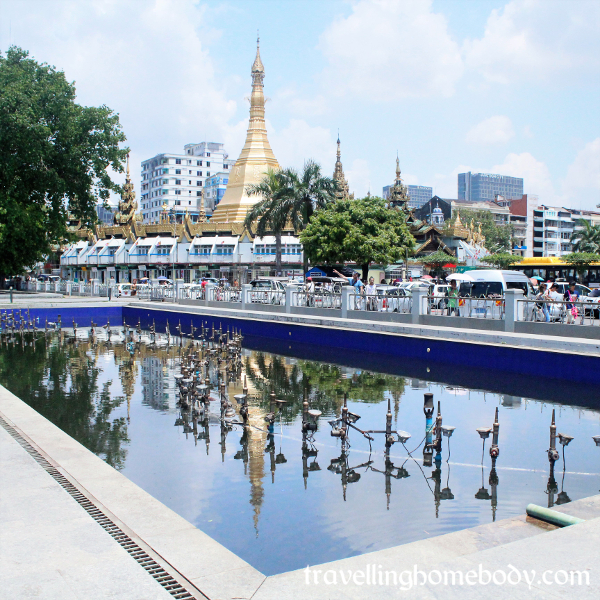 Oh, I’m sorry you only had one day in Yangon! I ended up staying for almost a week because I loved it so much! I’m glad you made it to Rangoon Tea House – their exotic fruit plate is amazing! I’m definitely going to have to take a trip back and stay longer…!